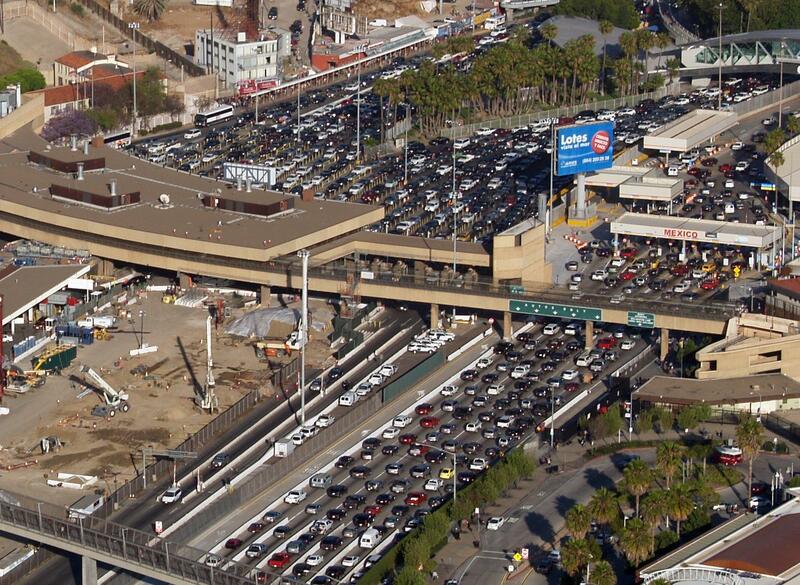 Aerial view of the U.S. San Ysidro Port of Entry (left), and Méxican El Chaparral Point of Entry (right). President Donald Trump continues to threaten to close down the border with Mexico to stop immigrants from reaching the U.S. Such a move would shut down the U.S. auto industry "within a week," according to Kristin Dziczek of the Center for Automotive Research. 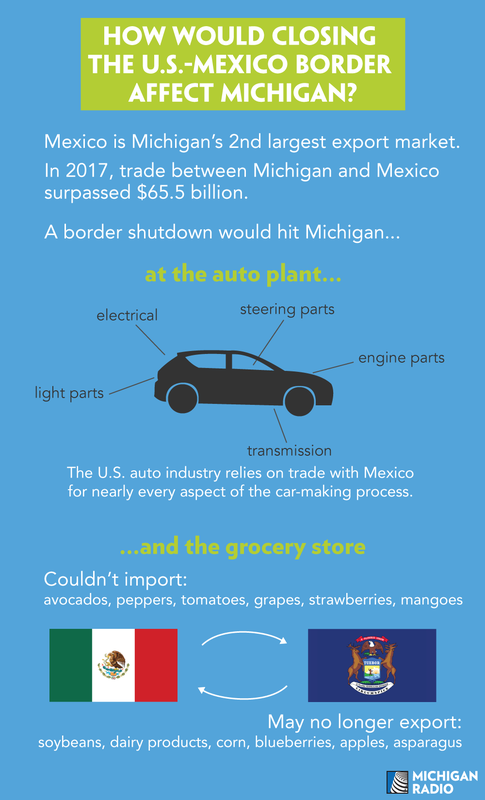 Nearly every model of vehicle assembled in the U.S. utilizes some parts made in Mexico, and millions of vehicles are assembled in Mexico for export to the U.S.
A shutdown would also hurt many other aspects of the economy, including agriculture, says economist Charles Ballard at Michigan State University. "Last year, American firms exported more than a quarter of a trillion dollars' worth of goods to Mexico," says Ballard, "and even more than that came back from Mexico." Ballard says it's promising that the President's economic advisors are trying to figure out ways to allow trade through while closing the border to immigration, perhaps by allowing commercial trucks to continue to cross. Trump called for a full border shutdown Tuesday, saying that if if Mexico cannot restrict the flow of asylum seekers coming to the U.S., he will close the border. "We're going to have a strong border or we're going to have a closed border," Trump said. "Sure, it's going to have a negative impact on the economy. But security is what is most important to me." Susan Pozo, an economics professor at Western Michigan University, says the U.S. economy is deeply intertwined with Mexico, and that disrupting trade would be devastating. Haulting trade would impact more than just the auto industry. The electronics, apparel, and agricultural industries would also get hit hard. Listen to Stateside's interview with Pozo above.